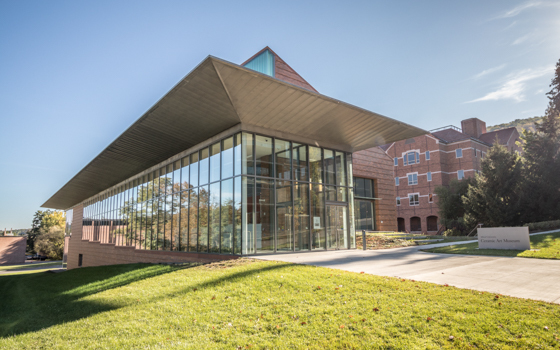 The Alfred Ceramic Art Museum at Alfred University welcomes the new year, 2019, with an exhibition entitled Kilns of Alfred: Transactions with Fire. The theme of the exhibition is revealed through the lens of renowned photographer Brian Oglesbee. Large scale photographs document the personal kilns used by Alfred ceramic art luminaries and serve by analogy as individual portraits of the artists including Bob Turner, Val Cushing, Theodore Randall, William Parry, Wayne Higby, Anne Currier, John Gill, Andrea Gill, Walter McConnell, Linda Sikora, Matt Kelleher, Linda Sormin and Jonathan Hopp. Included are panoramic views of the Alfred University kiln rooms that are associated with the work of graduates of the ceramic art program. The Kilns of Alfred: Transactions with Fire includes seminal pieces of the artist’s ceramic work as well as work from the Museum’s MFA collection. The art together with the striking images of the kilns give evidence that acknowledges the mystery of process that exists between clay and the enduring ceramic object. The exhibition offers refreshed comprehension of the poetic and magical title of ceramic artist Henry Varnum Poor’s famous text: –From Mud to Immortality.